Business Traveller : Wiadomości : Świat : 10 Ways to Enjoy Singapore like a Singaporean! Whether it’s enjoying cultural activities, exploring boutiques for hidden treasures, sampling the latest food trends or partying into the early hours, Singaporeans know how to have a good time. Your business commitments have ended and you’re ready to experience Singapore like a local, but you only have limited time before catching a flight home. Don’t worry, Singapore has got you covered. The city is compact and accessible, making it easy for you to get the most out of your stay. We’ve selected the top 10 things you can do to enjoy Singapore like a true Singaporean. 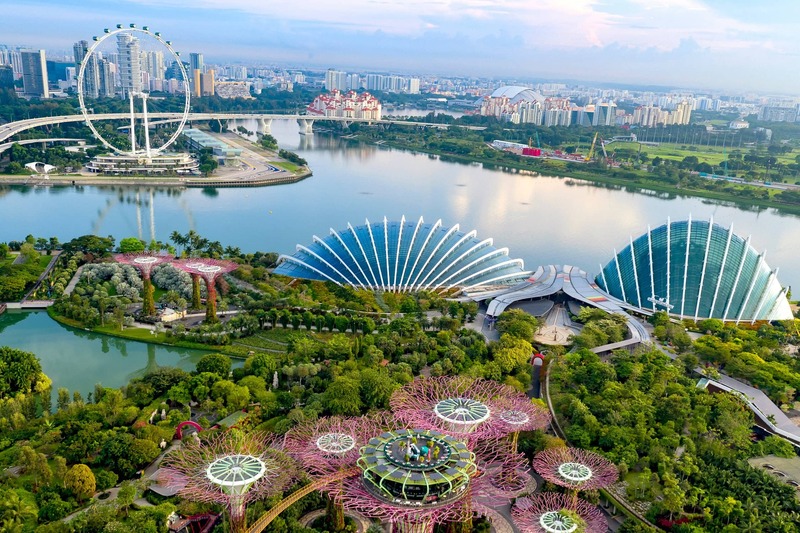 Join Singapore’s early risers for a morning jog at Gardens by the Bay, an awe-inspiring, futuristic green oasis that provides mesmerising waterfront views across three massive gardens. 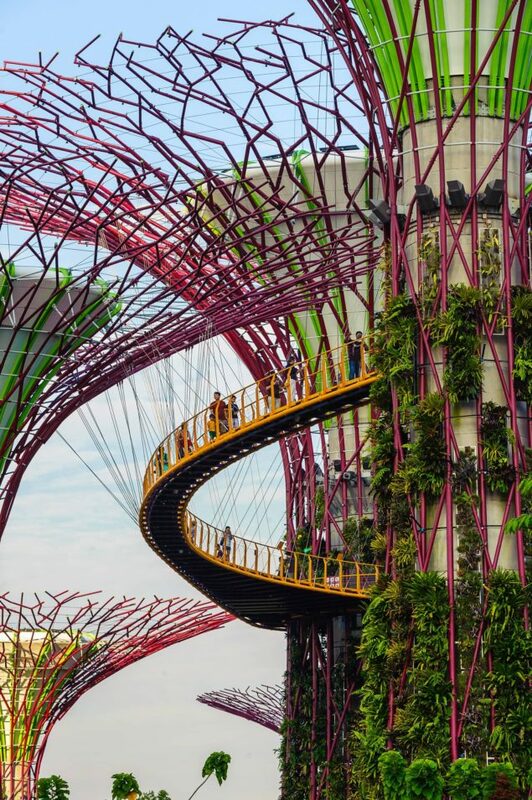 You’ll feel like you’ve stepped into the Avatar movie in these surreal gardens. Inspired by what you see, you could extend your trip to spend a day exploring the massive solar-powered Super-trees housing vertical gardens and the Cloud Forest, which includes a 115-foot-high hill shrouded in lush, mist-covered vegetation and the world’s tallest indoor waterfall. Start the day with an authentic view of local Singapore life at one of the island’s many kopitiams, or old-style coffee shops, which serve kopi (coffee) and the signature kaya toast with soft-boiled eggs, among other local delights. Order kopi like a professional: try kopi c – hot coffee with evaporated milk and sugar – or kopi o – hot black coffee with sugar only. At kopitiams such as Heap Seng Leong (Block 10, North Bridge Road, No. 01-5109), Chin Mee Chin Confectionery (204 East Coast Road), Tong Ah Eating House (36 Keong Saik Road) or one of the city’s many Ya Kun and Killiney Kopitiam outlets, you can learn countless ways of ordering your kopi while experiencing the centre of life for many Singaporean neighbourhoods. Singapore’s hawker heritage sets it apart from other countries and unites Singaporeans from different ethnic backgrounds. Singapore food stalls are a collection of tables surrounded by dazzlingly lit units specialising in different types of food. They are highly rated for hygiene and business travellers can allay their concerns about sampling authentic local street food. In fact, two street hawkers, Hill Street Tai Hwa Pork Noodle in Crawford Lane and Hong Kong Soya Sauce Chicken Rice & Noodle at Chinatown Food Complex, have been awarded the one-star rating by Michelin, in the first Singapore Michelin Guide. 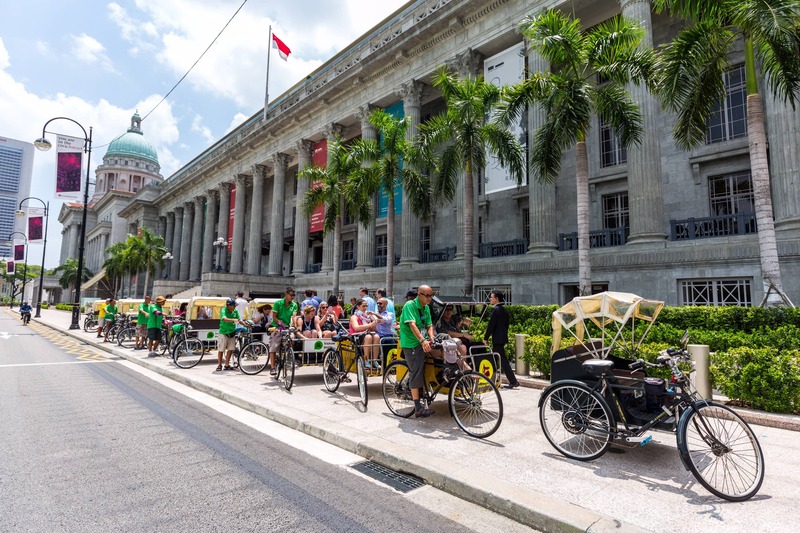 Why not try lively settings like Central Business District’s Lau Pa Sat famous for its attractive Victorian-era cast-iron architecture which remained largely untouched in a recent renovation, or the popular hawkers at Maxwell Food Centre or Chinatown Food Street. Shopping is a national pastime for many locals who are unable to resist a good bargain. Singapore offers a shopping paradise in unique districts amidst cultural landmarks, lively street activities and dazzling architectural landscapes. Orchard Road, the Shoppes at Marina Bay Sands® and Resorts WorldTM Sentosa offer everything from leading international brands and lifestyle creations to collectibles and must-buy items. 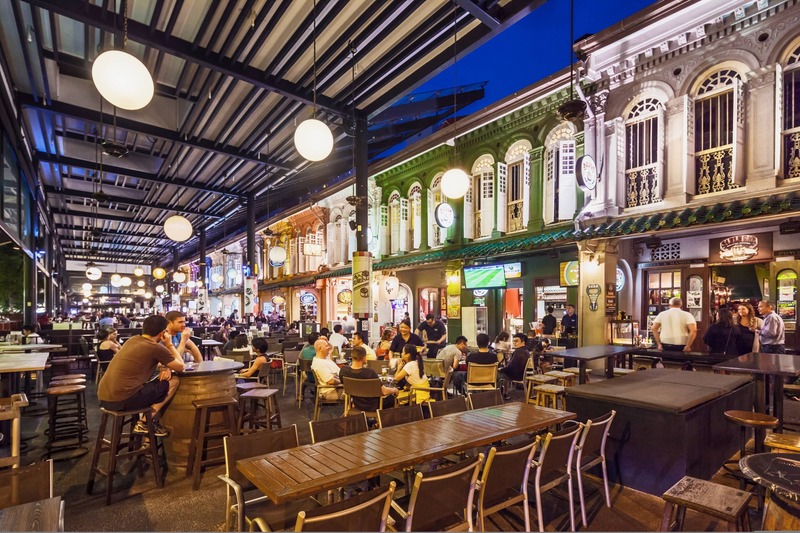 Alternatively, smaller boutiques in Haji Lane, Bras Basah-Bugis as well as culture shopping precincts in Kampong Glam, Joo Chiat and Little India, offer unique products and an energetic vibe a world away from the polish of international stores. From crafts, fashion and homeware, there are plenty of locally designed and artisanal goods to pick up in outlets such as Naiise, Supermama, Kapok Singapore and Mporium. Singaporeans love dining out and new restaurants are constantly opening to satisfy their appetite for delicious food in a trendy and stylish setting. 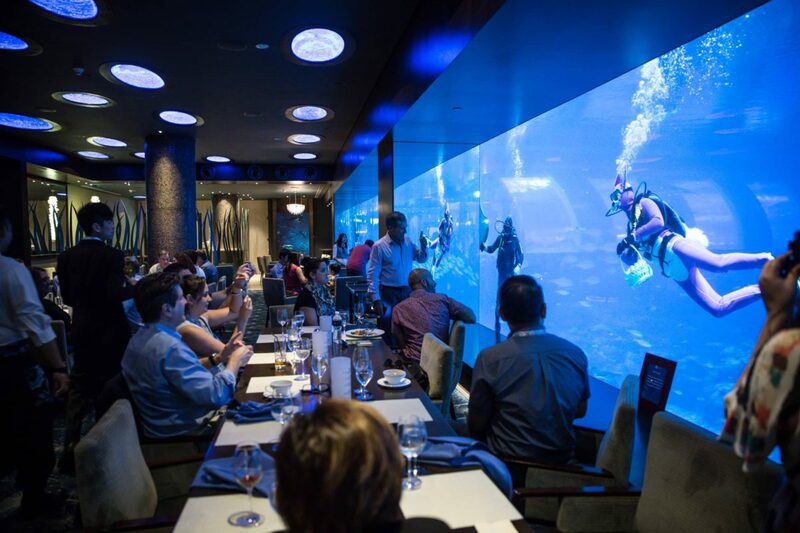 If you’re in the mood for a world-class dining experience, you can even try one of Singapore’s Michelin-starred venue from the new Michelin Guide Singapore, which includes Joël Robuchon, L’Atelier de Joël Robuchon, Restaurant André, Les Amis, Odette, Shisen Hanten and Shoukouwa. There is also Candlenut which is the world’s only Michelin-starred Peranakan restaurant, and Cornerhouse, both helmed by young Singaporean chefs holding their own on the culinary world stage. Night owls will find an eclectic mix of dining and clubbing options to experience Singapore nightlife like a local. Dance the night away at Clarke Quay, Marina Bay Sands® and many more after-hours spots. Or if you’re in search of something more relaxing, try out the laid-back bars by the river and cocktail hotspots with panoramic views. For cosy gatherings, the restaurant-bars at Club Street and Dempsey Hill are the locales to go to. With a growing number of cocktail bars in Singapore, why not try a new wave of Singapore-inspired cocktails that integrate local flavours into delicious cocktails. Head to Bitters & Love for a kaya toast cocktail, Ding Dong for a pi pa gao Jekyll & Hyde for a beancurd cocktail, or Kuvo for a prawn noodle cocktail. Singaporeans love combining education with a healthy dose of fun and Marina Barrage, Singapore’s first reservoir in the city, offers just that. Situated at the heart of the Marina South district, this colossal architectural masterpiece is a must-visit. Take a stroll through the barrage’s vast compounds and come face-to-face with stunning engineering equipment. You can also visit the gallery and discover how the barrage ingeniously prevents flooding to the city’s low-lying areas. As the water in the reservoir remains calm all year around, it’s ideal for some soaking wet fun, whether it’s kayaking or for the more team-spirited, a dragon boat race. If water sports are not your thing, then head to the rooftop of the barrage, which boasts a green space that’s popular for flying a kite, or just to chill out and enjoy a picnic with the family. Visitors keen on Singapore’s development story can pop by the Singapore City Gallery along Maxwell Road. As the only gallery in Singapore that illustrates the story of the nation’s planning efforts, the Singapore City Gallery shows the remarkable physical transformation of the city-state from an overcrowded urban seaport in the 1960s into Asia’s most liveable city today. Be dazzled by the architectural icons that define Singapore’s urban landscape and serve as milestones of the nation’s aspirations and achievements. Discover new buildings such as the Marina Bay Sands®, famous for its infinity pool, viewing deck and rooftop bar at 57 floors high, or the Singapore ArtScience MuseumTM which is shaped like a lotus flower. Older structures that have stood the test of time are also big favourites among locals – try Raffles Hotel, which dates back to 1887 or the Civilian War Memorial, built in 1967 in memory of the civilians massacred during the Japanese Occupation of Singapore from 1942 to 1945. Singaporeans are living and loving the arts and cultural development. You too can immerse yourself in Singapore’s colourful and diverse mix of local and international works. Start at the newly opened National Gallery Singapore, which houses the world’s largest public display of modern Southeast Asian Art in two of Singapore’s national monuments, the former Supreme Court and City Hall. Then head to Singapore Art Museum before capping the night at Esplanade – Theatres on the Bay Singapore with theatrical performances and spectacular riverside views. 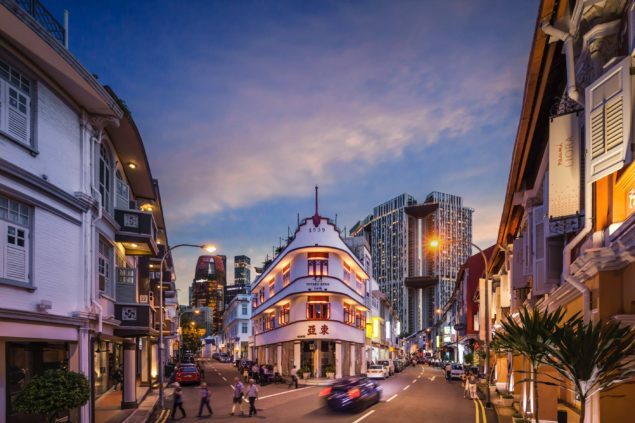 You’ll need more than a few hours to fully experience the indigenous Straits Chinese or Peranakan culture in Katong and Joo Chiat on the eastern corner of Singapore. Just a 10-minue drive from the city centre, you can explore the unique pre-war architecture with colourful two-storey shophouses and terrace houses with ornate facades, intricate motifs and ceramic tiles. Your culinary choices are also endless with cool cafes that sit next to old-world coffee shops selling the famous Katong ‚laksa (noodles in spicy soup)’, ‚kueh chang’ (dumplings) and other Nonya delicacies. Like many locals, you can also snap up a traditional Nonya outfit – ‚kebaya’ and ‚sarong’, beaded slippers and accessories, or browse in little shops offering Peranakan wares and handicraft.